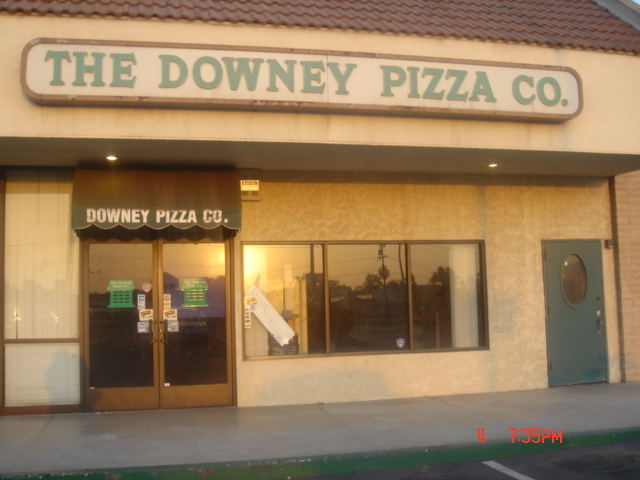 It all began here in the year of 1992 when Smail took over Downey Pizza Company. This location was located just across the street on Lakewood Ave. He worked there till finally a new location opened up close by.. The owner worked hard enough to move on and build this family friendly, new and improved restaurant in 2003. We moved to a new location, but we still have the same delicious pizza; or even better. Our staff tries our hardest to satisfy all customers. We have a small staff of waitresses and a small staff of kitchen workers, but we are all all family and friends. We will be putting up pictures very soon of the restaurant and staff. We are always playing basketball, football & baseball games! We have 8 flat screen tvs all around the restaurant just to satisfy our customers!